For more information call us on 028 9266 5482! The top device of the 4 series is the NEW Sonopuls 492. This complete unit ensures that you can apply ultrasound therapy, electrotherapy and combination therapy. You will have a solution for every disorder at your fingertips with both 1 MHz and 3 MHz ultrasound, with a small and/or a large ultrasound treatment head and with all modern and effective current types that are fully integrated! The neatly arranged touch screen operating panel makes operation extremely easy and fast. All information that you may need is displayed in a very well-organised manner. Selecting the correct parameters is also easy. Thanks to the integrated evidence-based protocols, the best recommendations will be made. The graphic help screens that display localisations and anatomic representations guarantee the correct execution of the therapy. The Sonopuls 492 can be used as a mobile device thanks to the battery (optional). 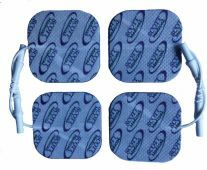 In addition to using it with a mains power supply, the equipment can also be used in a clinic, next to the bed of a patient or at home. Thus the multifunctional Sonopuls 492 can also become your assistant wherever you may go.